Are you looking for the best internal communication tools, the most effective employee communication tools or the most popular internal communications software? We’ve compiled a list of the top internal communications tools for you! With the rise of information technology, employees can now work from any location, making it integral for internal communicators to introduce innovative internal communications tools that strive to bolster employee engagement. The problem is there are now so many different types of online collaboration tools in action that it’s often overwhelming to decide which one to pick. Moreover, it is often difficult to predict whether any of these corporate internal communication tools will increase productivity or cause the workforce to become more distracted. Luckily for you, we’ve compiled a list of the top company internal communication tools that are excellent for managing team communication and improving productivity in the workplace. Moreover, if used in the right way, they can help you create engaging internal communications that can bolster employee engagement. So let’s have a look at some of these internal communication tools that can help boost employee engagement levels. ? Disclaimer: This is by no means a comprehensive list. We encourage you to add to this list by telling us which online collaboration tools have worked for your internal communications in the comments below. You can create, send and track responsive HTML employee emails and gather real-time feedback with employee engagement surveys, including pulse surveys, social reactions, ratings and more. When talking about internal communication tools, internal communications email software for email tracking is one of the best investments you can make to improve internal communications. 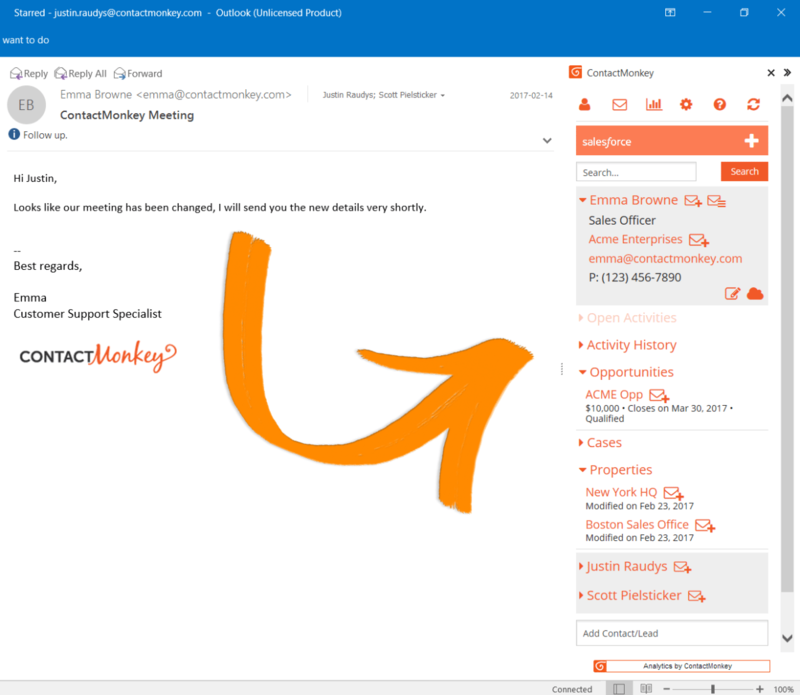 ContactMonkey should definitely be your go-to platform for company-wide announcements, sending responsive email newsletters, collecting real-time feedback or for any other critical information that requires a serious response. What’s great about this internal communication tool? 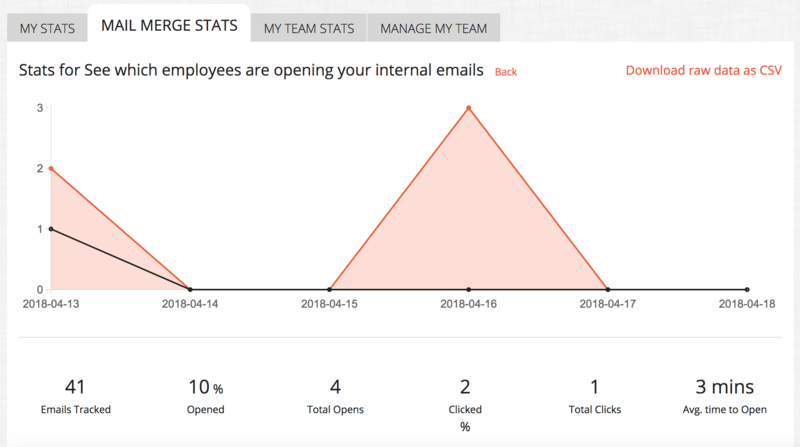 You can track every email open and link click so you know how many employees are being reached. 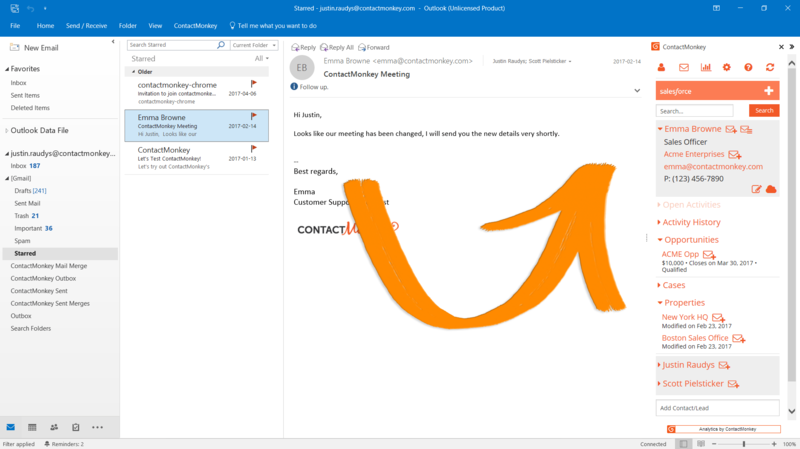 Moreover, you can send personalized emails, straight to your Outlook distribution lists. Easily create personalized employee emails within the subject line or body copy no matter if you’re sending to 20,200 or 100s of employees. Sounds like a dream come true to me! It’s a great one-stop shop for team communication and an effective way to manage all internal communications. Basecamp is an online collaboration tool that is great for project management. It is a team communication software that can be used easily by internal communicators. Resolves the problem of information overload by combining all the tools that teams need in a single package. You can keep a single location for messages, files, to-dos and timelines, enabling everyone to stay on the same page. It has an easy-to use intuitive interface that enables you to add new projects or click on a previous project to check out the latest updates or discussions going on about a certain activity. Use the “catch up” button to see what’s happening or view the next six weeks with all the to-do items using the “calendar” feature. The “progress” button will further give you a breakdown of all the projects and display them to you in a timeline format. There are multiple to-do lists for each project, making Basecamp one of the ideal internal communication tools for corporate communications. Sounds like a great way to streamline communication in the workplace and boost employee engagement! With Staffbase, you can send push notifications to make sure everyone gets the message. ? Staffbase is an employee app that can improve communication in the workplace. Are you working with remote non-desk workers? Looking for an online collaboration tool that enables you to streamline your internal communications and increase employee engagement? Then Staffbase may be the solution to your problems. What’s great about this internal communication app? Allows you to publish company news, short updates and documents and get feedback with comments and likes. Streamline your internal communications by adding feedback forms and more from the plugin marketplace. There are plugins for all your internal communications and employee service needs including company news, employee directories, time tracking, chat, maps, surveys, calendars and even cafeteria menus! Import existing intranets, your blog or social media using the app. You can choose to target the whole company or individual user groups when making announcements. Send push notifications to make sure everyone gets the message. You can host online meetings, conduct video webinars and use the Business IM feature for cross platform messaging and file sharing. When it comes to choosing from one of the best internal communication tools, the answer may be to look for an old fashioned video conferencing software. Zoom Video Communications is designed to improve communication in the workplace by enabling online collaboration that can enhance team communication. It’s also a great way to keep remote employees connected and is a great addition to this list of stellar internal communications tools. What’s great about this internal communications tool? Zoom offers a consistent enterprise experience. You can host online meetings, conduct video webinars and use the Business IM feature for cross platform messaging and file sharing. You can use the Zoom Rooms feature to put high-quality video, audio and web conferencing in any sized room. Zoom Rooms digital signage is a great tool for corporate internal communications that can streamline business communication, enhane employee engagement and assist with internal marketing. You are able to connect all your employees regardless of where they’re working from. Jostle is a cloud-based intranet software that can help boost employee engagement. Jostle prides itself on providing you with an intranet that strives to provide clear information architecture that helps streamline communication in the workplace. It’s excellent for team communication and for corporate internal communications. 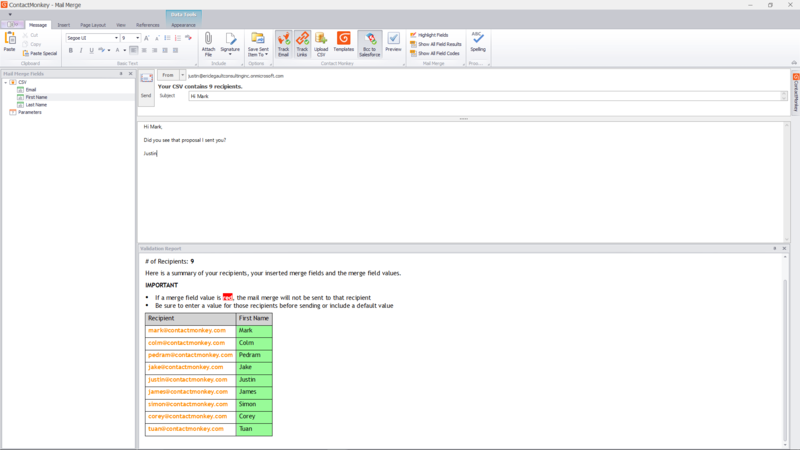 What’s great about this internal communications software? Connect all your employees regardless of where they’re working from. Check out the latest company news with ease. Announce company-wide initiatives and celebrate together. The activity tab tells you what’s going on in the organization. Share updates or thank someone with a shout-out. The events tab simplifies event planning, letting everyone know what’s happening and when and enabling them to add an event to their personal calendar. The teams tab shows you who does what while the people tab gives you access to the entire employee directory. You can start private chats with anyone in the organization or connect with an entire team. Sounds like a great solution for team communication and for boosting employee engagement to me! You need to make a profile of yourself, add in your area of expertise, location and contact information and you’re all set. As a social networking platform, Yammer is great for effective internal communication in the workplace. It is one of the best internal communication tools for online collaboration as it facilitate team communication and streamlines internal communications by involving various teams on projects and ideas. It operates much like any social networking platform does. You need to make a profile of yourself, add in your area of expertise, location and contact information and you’re all set. What’s great about this internal communication platform? Easily share updates, ask questions, develop ideas, get feedback, and collaborate with coworkers across departments and locations. Tag people individually and notify them when you have a question. easily integrate Yammer across your sites and video broadcasts to keep conversations flowing for effective communication in the workplace. Yammer also facilitates real time communication in the workplace (especially if you’re working with remote teams) through the “Online Now” chat feature. 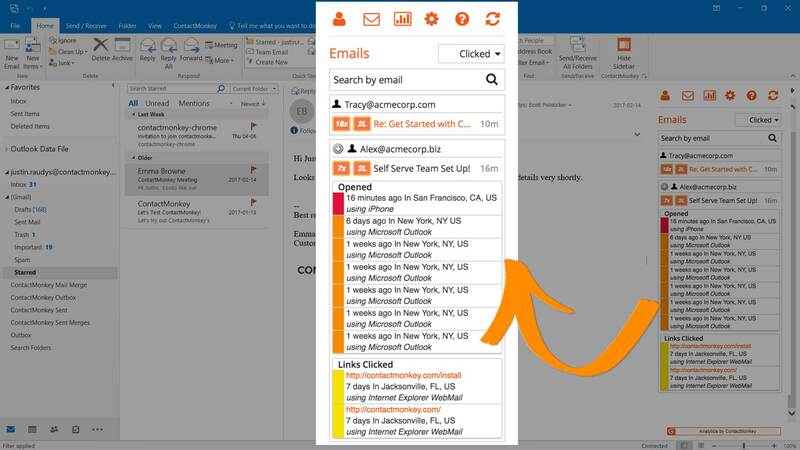 Yammer is part of Office 365 so it makes it super-easy to create and edit content right from the app. The Trello board helps streamline communication in the workplace by helping you organize information and tasks. Great for team communication, Trello enables you to know who’s doing what and what needs to get done at one glance. It essentially enables you to have access to a lot of information in one collaborative location. It could mean less email, fewer meetings and enhancement in team communication. Enables you to have access to a lot of information in one collaborative location. It could mean less email, fewer meetings and enhancement in team communication. Trello displays information in the form of boards, known as a Trello board. The Trello board helps streamline communication in the workplace by helping you organize information and tasks and see what’s getting done. You can also add lists to boards in order to streamline your workflow. You can further add cards to lists to keep track of everything you need to do. You can make communication in the workplace more efficient as this online tool enables you to drag cards across lists to show progress. With Bucketlist, you can easily use one click to recognize hard working employees. Employees can choose their own rewards or select from over 10,000 ideas. When hunting for effective internal communications platforms, you may want to consider using a recognition and rewards platform such as Bucketlist. Employee Recognition and Rewards programs are great for motivating employees to grow, thrive and become more productive. Bucketlist makes recognizing the commitment and dedication of employees easy. With Bucketlist, you can easily use one click to recognize hard working employees. Employees can choose their own rewards or select from over 10,000 ideas and share success stories on social media. You can get detailed reporting so you understand the return on investment. This platform is great for enhancing team communication. It also facilitates internal communication and employee engagement by making it easy for employees and managers to recognize each other for milestones and key achievements. G2 Crowd is a helpful resource for those who prefer to delve into in-depth research and gain customer insights before deciding which tool is the right fit for their respective teams and organizations. If you’re on the hunt for some of the best communication tools for your internal communications team, you should look at G2 Crowd for unbiased user reviews on various tools. G2 Crowd is a great resource you may want to check out before deciding to purchase an online collaboration tool. What’s great about this resource when hunting for internal communications software? It’s a helpful resource for those who prefer to delve into in-depth research and gain customer insights before deciding which internal comms tool to go for. They also have a team software collaboration category for those specifically looking for online collaboration tools that are ideal for team communication. They showcase a handy grid on their team software collaboration category, highlighting customer satisfaction scores of all team software collaboration tools. The grid divides all collaboration tools within four categories. The categories are Leaders, High Performers, Contenders and Niche. You can read further about what each category entails on their team software collaboration page. 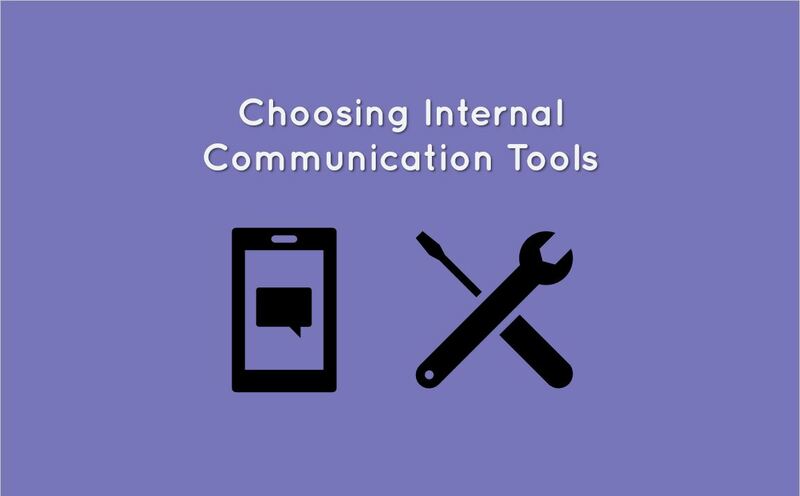 When it comes to choosing the best internal communication tools for comms pros, the list doesn’t end here. We know there are countless other effective online collaboration tools, such as Slack. Many organizations also use Skype for their internal communications. No matter which online collaboration tool you decide to use for effective internal communications, you need to ensure it’s the right fit for the way your organization is structured. Free trials are an excellent way for you to play around with the tool and assess whether it’s the right fit for your internal communications. If you’ve been using any awesome free tools for measuring employee engagement or for enhancing productivity in the workplace, let us know in the comments below! If you enjoyed reading this piece, you should also check out our posts on The Best Design Tools for Internal Communicators & The Most Effective Outlook Plugins for Internal Communications and Productivity. Convinced of the power of internal communication tools? 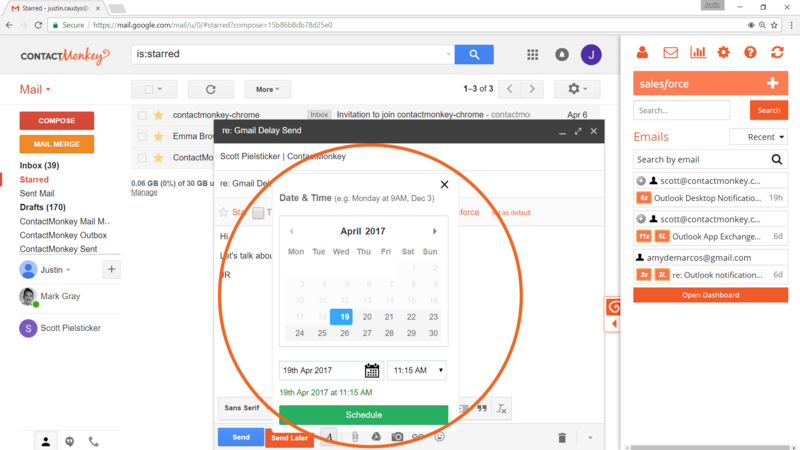 Want to learn how to track your internal emails using ContactMonkey? We can set up a personalized demo for you and your team. Just click on the button below to book your demo. Do little, achieve greatness!